A magical setting for a party of two, a couple of couples, or a grand affair, this is the ultimate Philadelphia experience. You'll know you're in for a special evening the moment you step aboard and are escorted to your festively decorated table. 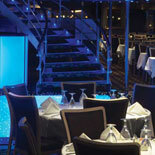 Many tables are designed for cabaret-style seating with other guests, reminiscent of ocean-going cruises. Order drinks, then feel free to explore the ship while our crew casts off for three fabulous hours on the Delaware River. Your waiter will invite you to the Grande Dinner Buffet, where you can sample a little bit of everything, or just select your favorite fare. 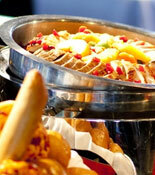 Everything is freshly prepared in the shipboard galley and served in the true manner of an ocean-going cruise buffet. Savor your culinary selections over perfectly-paced dinner music and a never-ending view of Philadelphia's breathtaking skyline seen through huge panoramic windows. Truly, a sight you won't soon forget. Take your drinks topside and relax on the largest outdoor patio deck in the city while Philadelphia's magnificent skyline spreads before you in all directions. It's the perfect pause before the pulsing beat of Spirit's dance tunes entices you onto the dance floor. 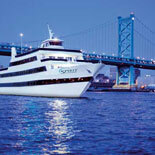 Spirit's dinner cruises spotlight some of the hottest DJs in the city. For nearly two hours, your favorite tunes will spin and let you 'rock 'til you dock' - literally. The perfect end to the perfect night. The ship departs Penn's Landing and sails the Delaware River as far north as the Ben Franklin Bridge and as far south as the old Navy Yard passing under the Walt Whitman Bridge. 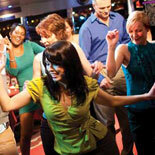 Quite simply, a Spirit dinner cruise is the perfect night out. A magical setting enhanced by dazzling city sights and harbor lights. 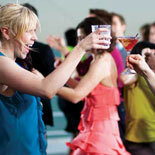 An evening filled to the brim with wonderful cuisine, live music and dancing under a canopy of stars. Cruise dates vary. Please check calendar (on order page) for open dates. Friday and Saturday sailing at 7:30pm. All cruises board 30 minutes before sailing. Boarding and departure times are subject to change. 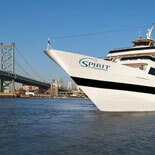 Please call or email Spirit of Philadelphia to reconfirm departure times. E-Ticket will have details. Lombard Circle Parking Lot on Columbus Blvd at Lombard Circle, just steps away from the ship. The lot is well lit and supervised. Rates are approximately $20 per car. 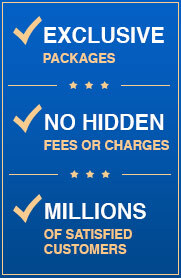 (Prices subject to change). Motor Coach Parking: Ample motor coach parking is available adjacent to the ship in the Penn's Landing Parking Lot. Child's rate applies to Friday Night Only. For evening cruises, appropriate attire is business casual to dressy. Men traditionally wear slacks and sport coats, with or without ties. Women wear dresses or nice pants. All cruises sail rain or shine. 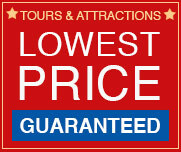 Choose weekend rate for Friday or Saturday night sailings.